The OnePlus 5 is going to launch tomorrow, and the company has already revealed the design several times. Yesterday, a promo was aired during the India vs. Pakistan Match that showed the full design of the phone. It also confirmed that the OnePlus 5 indeed looks like iPhone 7 Plus and the company isn’t playing any prank with us. Anyways, the phone is launching tomorrow, and just now, we received a new image that shows the phone inside the retail box along with several cases. 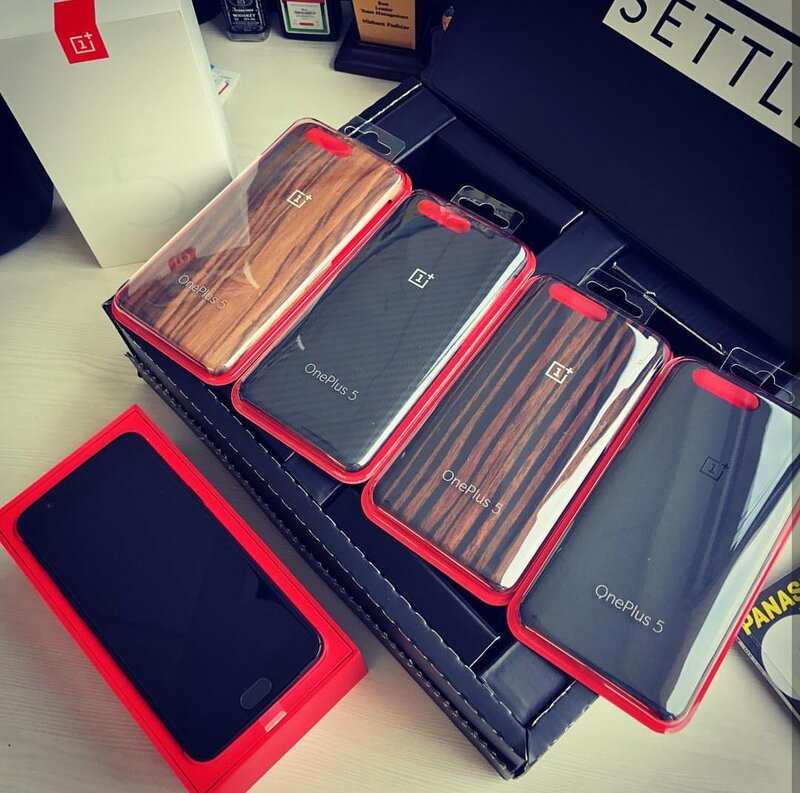 So, we can see that out of so many packaging options, OnePlus chose that one that is fully white with number 5 engraved on it. From the front, it seems we cannot tell the difference between the 5 and the 3T as everything seems the same from the front side. There are several cases included along with the phone with the horizontal cutout for the dual camera setup. It would’ve been better if there were images of the phones from other sides also but it doesn’t matter now as we are going to see the device officially tomorrow. The pricing is expected to be $475 or 32,999 INR for the base model. So, what are your views? Is the OnePlus 5 going to be the best flagship smartphone of this year? Do let us know your opinions via the comments section.